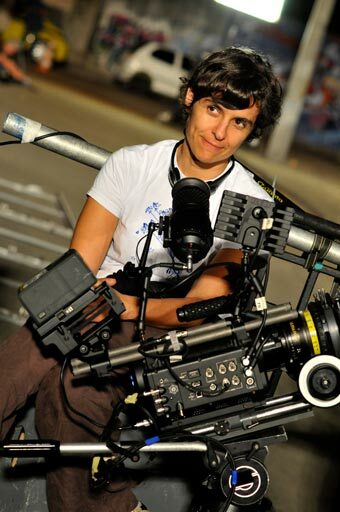 French-Brazilian director Juliana Reis has been involved in the international film industry for more than two decades as a director, writer, casting director, and script continuity. She is the writer-director of the Rio de Janeiro-set film, Disparos (AE-AutoExposure), which debuted at the Rio Film Festival in 2012. It received awards for cinematography, editing, and supporting actor. She worked as the personal assistant and casting director with directors, such as Luc Besson (1999 The Messenger: The Story of Joan of Arc starring Milla Jovovich, Dustin Hoffman, and John Malkovich; and 2002 The Transporter), Ricardo de Carvalho, Manuel Poirier, Blanca Li, Philippe Decouflé, and Louis Letterrier. Originally a journalist, Juliana moved to Paris in 1989, where she lived for more than 15 years. There she finished a masters degree in filmmaking, and wrote and directed five shorts and institutional videos for UNESCO and SOS Racisme. She was awarded for her adaptation of Julio Cortazar’s Cronopios e Famas, and her first short, Les Enfants de Charbon, was nationally broadcast by French Television. Since moving to Brazil in 2005, Juliana has written screenplays for and with noted filmmakers João Jardim, Murilo Salles, Henrique Saladini, Guto Bussab and Themba Sibeko (South Africa), and Kim Chapiron (France). She is a member of both the College of Screenplay Readers of CNC (Centre National de la Cinématographie in France) and of Autores de Cinema. Juliana teaches screenwriting at the Escola de Cinema Darcy Ribeiro and the Paraná Art School University, and is the head coordinator of the Escrevendo & Filmes workshops. She is also a perseverant mosaic artisan, a vocation that requires intense patience, tenacity, and commitment – skills that serve her well in filmmaking. OURs LADYs OF COPACABANA, co-written with Felipe Sholl, Teddy Award in Berlin. In co-production with France, it has been selected and participated in the Brazil-France Co-Production meetings, the SESC-SENAC Screenwriters’ Lab 2011 (former Sundance Lab in Brazil), as well as the Berlinale’s Talent Campus 2012. She is involved as well in the development of TV series projects, co-writing with French Michel Fessller (Oscar winner March of the Penguins) and Americans Jeremy Pikser (Oscar nominated Bolworth ) and Walter Bernstein (Oscar winner The Front ).